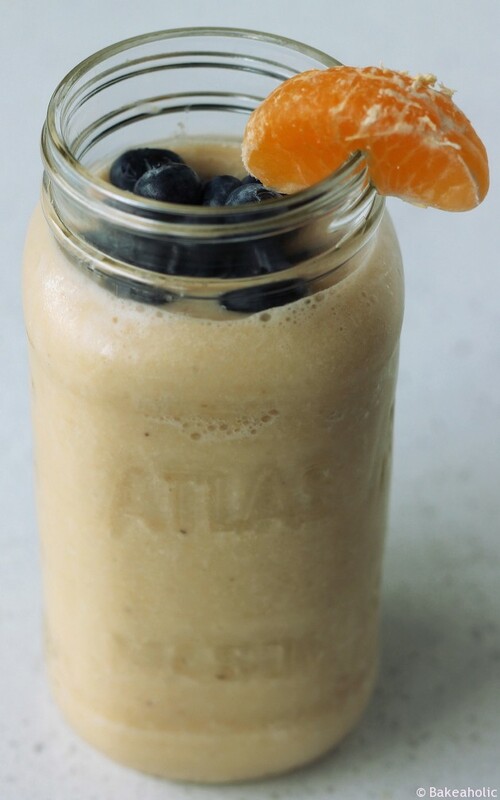 Yea – Smoothies. I have a smoothie pretty much every single day – and it’s usually the same one. It’s a green monster of goodness. In my usual I’ll have banana, kale, spinach, ice, coconut/almond milk, protein powder, flax seed – blend it all up and enjoy. I’ve never really posted a smoothie recipe on here because I just throw whatever is in the fridge into the blender usually – however, I thought I’d enter a contest by one of my favourite sites – Healthy Happy Life by Kathy Patalsky – a contest to show off your ‘Smoothietude’ for her upcoming book 365 Vegan Smoothies out in July. I thought I’d make something new, and seeing as how it’s hosted by DOLE, I definitely had to include my favourite, the banana! I love bananas – I eat at least one a day, maybe two! I always have ripe banana’s on hand. Sometimes if the produce market I go to doesn’t have ripe enough ones, I’ll buy a bunch of green ones from them, then go to the grocery store and buy some more ripe ones too so we have them ready to go. I can honestly say we have at least 10 bananas, if not more, on the counter at all times. Usually two large bunches. Adam loves bananas too – so they go fast between the two of us. Especially when I use them to make 1-Ingredient Banana Ice Cream, or Fudgey Banana Brownies, or Banana Brownies with Chocolate Avocado Ganache, OR Banana Oatmeal Cowboy Cookies (vegan). 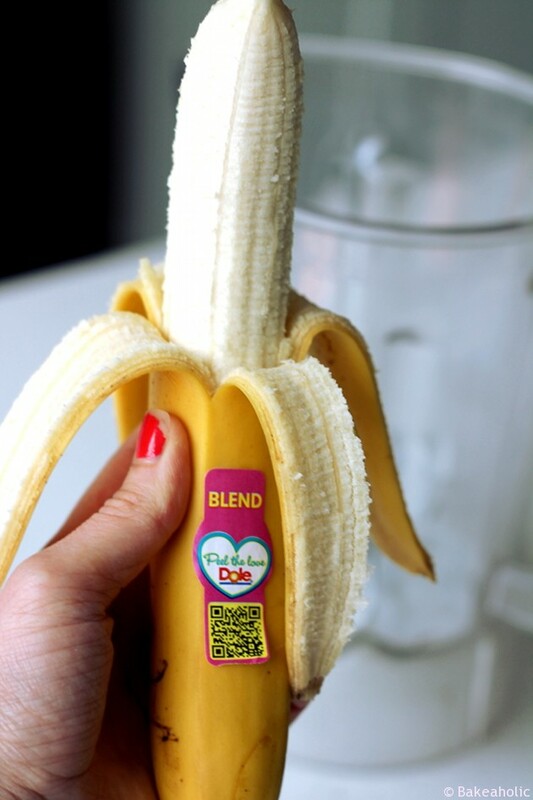 I always add them to my smoothies because they make them so smooth and thick – even better if you have some frozen banana slices. 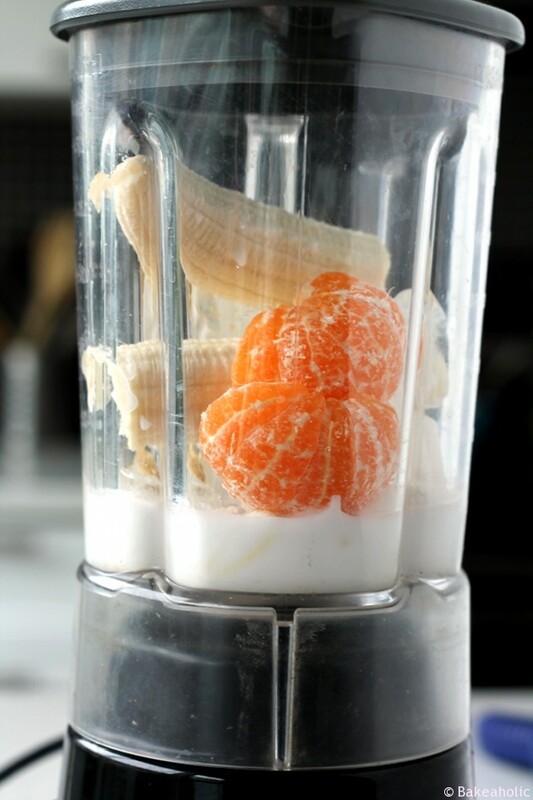 Since It’s the beginning of Summer I thought I would make a citrus smoothie with banana. 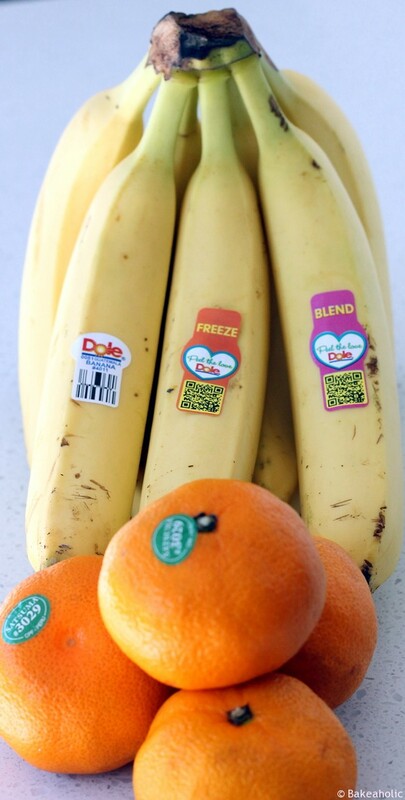 Anything with citrus is refreshing, and adding frozen banana makes it perfect for long hot summer days! Citrus is also amazing for you! It’s packed with Vitamin C which helps prevent colds. And, since we’re outside all summer long soaking up Vitamin D from the sun, Citrus fruits actually help your body absorb the Vitamin D to promote strong bones, and glowing skin! And Bananas are just as amazing, they help regulate our blood sugar and help our body from becoming overly acidic. They are packed with potassium – great for having before/after a workout too! 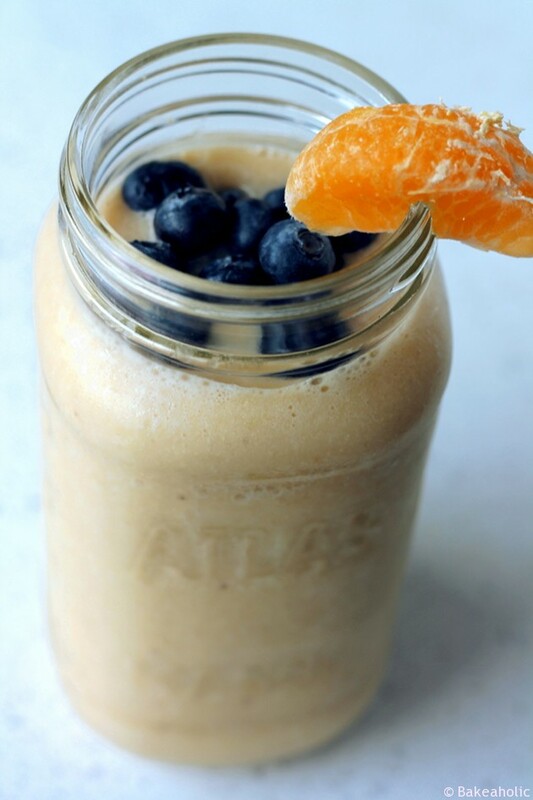 Summer and long sunny days make me happy – and so does this smoothie! It’s colour and ingredients are refreshing and a great pick me up on a hot summer day. 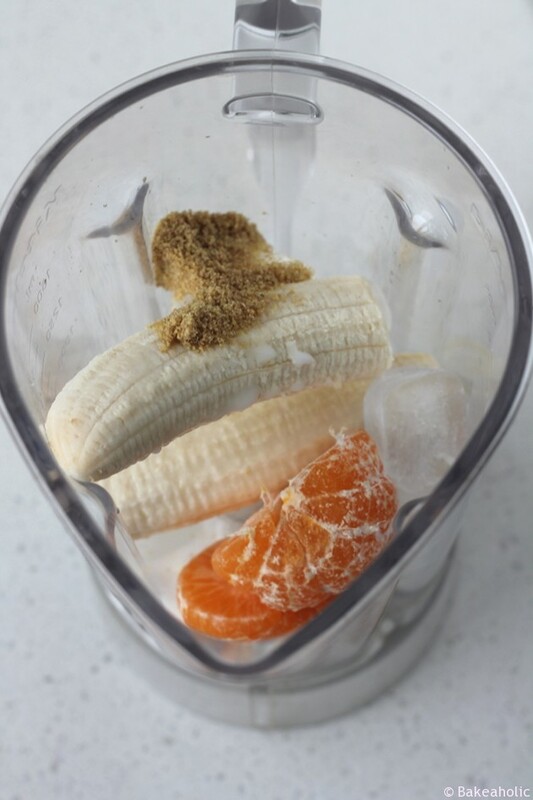 Add it all to the blender and blend until frothy! Top with fresh blueberries and a slice of tangerine for garnish. Enjoy! Everything about this post makes me jealous! It is cold and the middle of winter here and I miss summer fruit so much! The smoothie looks amazing and your list of summer activities makes me so jealous!! Hope you are enjoying the sunshine and fun times! haha – well If I could I’d send some sun your way! I definitely love summer fruit – I think we have at least 3 packages of strawberries in the house on any given day – and we just picked up some from the farmers market last week too! So much better than packaged, super juicy. We were having such a gorgeous June, eh? Now it’s typical Raincouver weather! Bring back the sun, Mother Nature! This smoothie looks like summertime in a mug. My husband has a smoothie every morning. I keep telling myself to start making them too but I don’t know why I don’t. Big reason is because I’m always rushing to work in the morning, tsk tsk! Ooh you have to!! I LOVE smoothies, and they’re so easy to get in lots of veggies!! 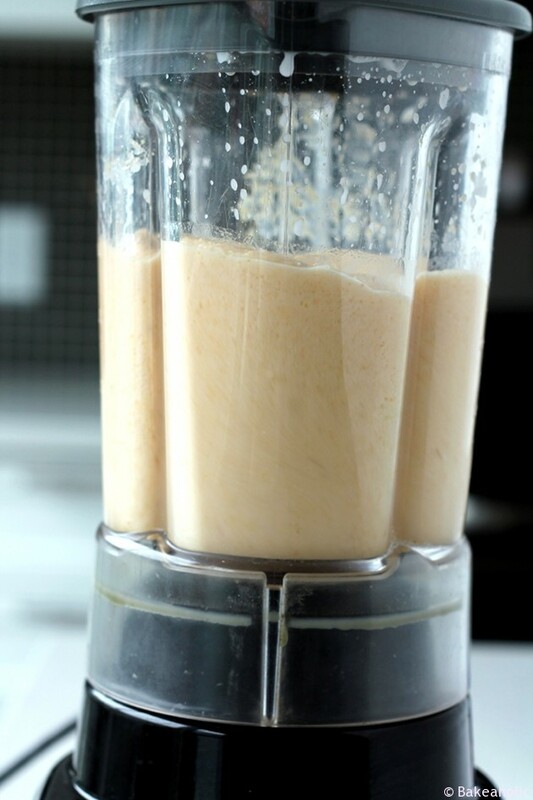 If you’re in a rush, throw it all in a bag the night before and then toss it into the blender! ready in less than a minute, and get a good to-go mug with a straw!